Two games have been postponed in Scottish League One, but two have survived pitch inspections in the division below. 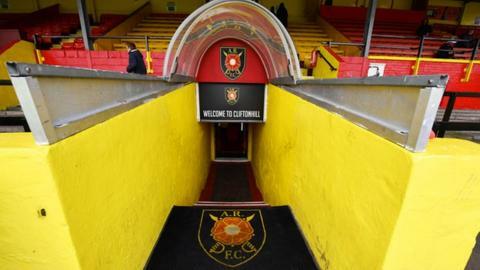 Albion Rovers' game at home to Queen's Park was called off due to a waterlogged pitch after a 09:30 inspection. Leaders Livingston blamed "relentless overnight rain" for their game against Stenhousemuir following suit. But games hosted by Berwick Rangers and Stirling Albion both survived. Berwick, who are playing Elgin City in League Two, said their pitch passed an inspection at 11:00. As did Stirling's Forthbank Stadium surface, where Edinburgh City are the visitors.